PLEASE NOTE THIS IS NOT AVAILABLE FOR PURCHASE IN EUROPE. Pirates Press Records and Burning Heart Records are teaming up to bring you “Generation Tranquilized”, a BRAND NEW full-length from Sweden’s streetpunk kings, Bombshell Rocks. With the original singer Marten Cedergran back on vocals, this hard-hitting and unbelievably catchy 12 song album is bound to capture tons of new fans, and really reawaken lots of old ones. Both the single for “Scars & Tattoos” released in 2013 on Pirates Press Records, as well as the digital single and video for “Without Destination” (Oct 2014), gave the world a heads-up that these diehard swedish punks had not lost a step, and were in it for the long haul. 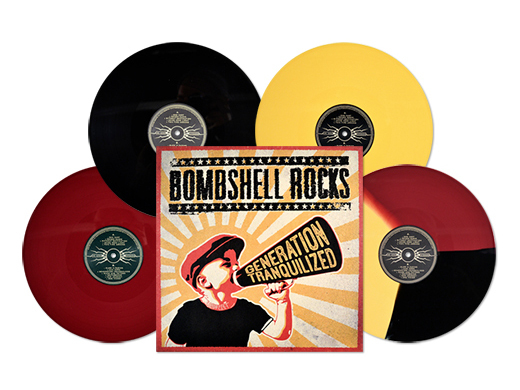 "Generation Tranquilized”, including a re-recording of “Scars & Tattoos” and 11 other to-be hits, was recorded in Sound Lab Studios, and once again, old time friend of the band Mathias Farm (Millencolin) was at the helm. 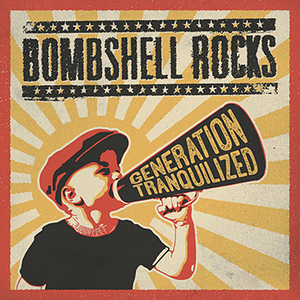 "Generation Tranquilized" is Västerås’ (Sweden) finest's 4th full-length - and the first in over 10 years with the original lineup. 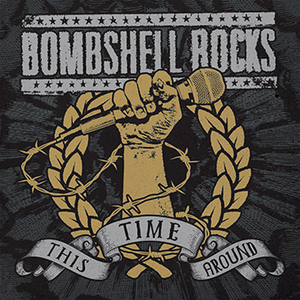 This release shows BOMBSHELL ROCKS is indeed back in the game; Reflecting on the history they’ve made over the last 20 years, and heading towards the future with a line up that is more focused and dedicated than ever. The songwriting and sing-alongs here are nothing short of brilliant, and both Pirates Press and our friends at Burning Heart are extremely proud and excited to help this amazing band share it with the world; and even more special, in this, their 20th year together as a band. 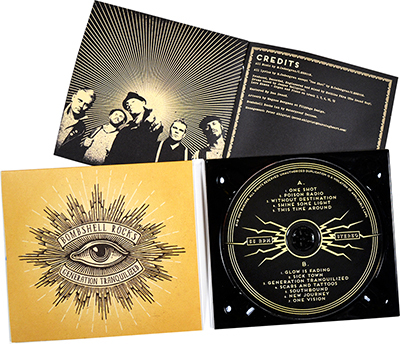 This release comes with a digital download card! 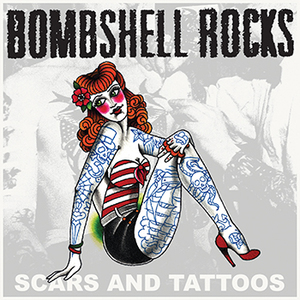 Bombshell Rocks - "Scars and Tattoos" 7"
Bombshell Rocks - "This Time Around" 7"